Ludum Dare 33, our third game jam and our second Ludum Dare participation with our first being Drop It in Ludum Dare 32 with the theme being An Unconventional Weapon. The dilemma (see what we did there) is that how will you convince a player to do a certain thing knowing that it is bad. We always saw the playable character as an extension to the player, we want it to be something the player would enjoy doing. This is when it hit us. Someone’s devil is another’s savior. It is not us that decide who is a monster, it’s society that labels us as one if you do not conform to its conventions. That’s why we thought we would create a strong character, someone that stands out and stands up for a certain belief, to her and very few she is a hero, a martyr, and a beacon for hope… but to society she is nothing more than a villain and a monster. We imagined a world of order, efficiency, and minimalism. Where people are becoming blanks and nothing more than a white slate that then copies society. We imagined this city with tall buildings, everything is white. Of course all of this was inspired from movies like The Island or Star Wars. 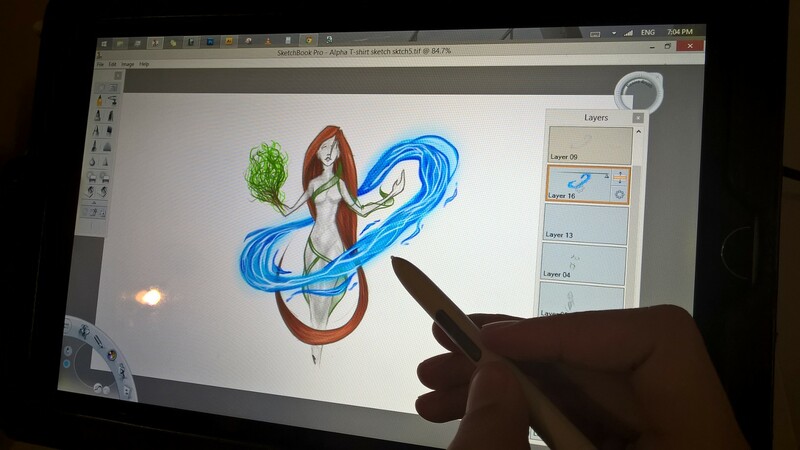 We also imagined a monster, nature’s creation that wants to revive nature’s beauty. Trees, water, dirt, and everything that makes this world smell, taste, and look alive. This character has to be evil to that system. Someone that destroys this order. We came up with a phrase that defines all of this. Now that the concept was set, development began, first we decided to take a low poly approach when it comes to the art direction. It would be visually appealing as a style for a game with this theme (destroying White with Color). 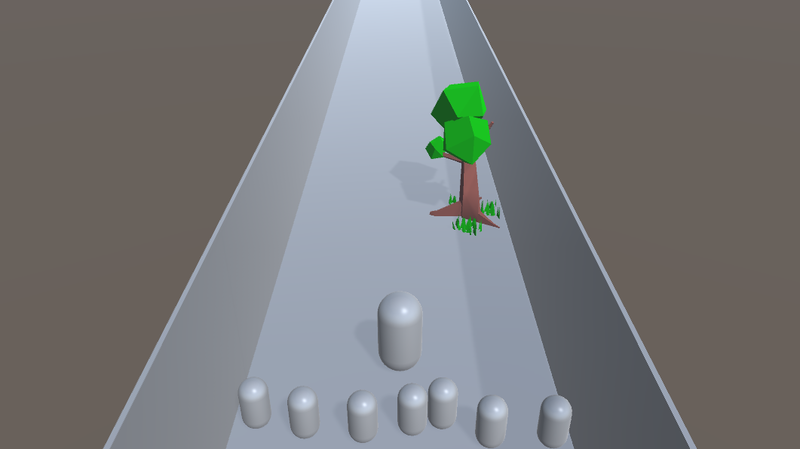 After the Game Design Document was set we marched to our posts to start building our game. 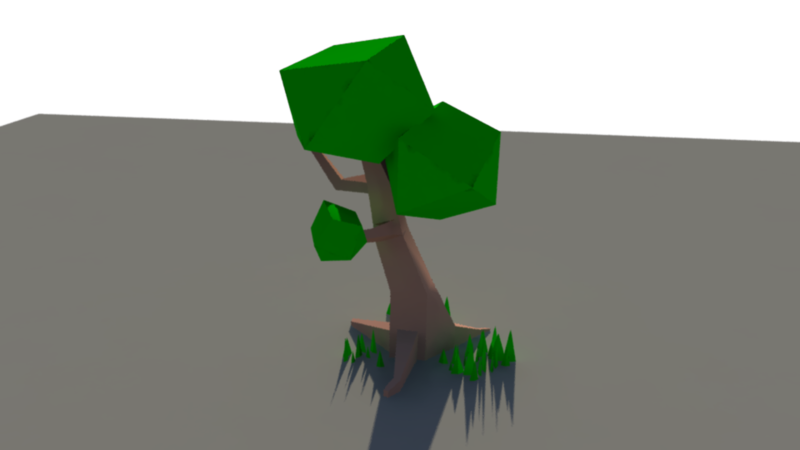 3D low poly modeling of one of the trees that will be generated by the main character’s “chaos”. 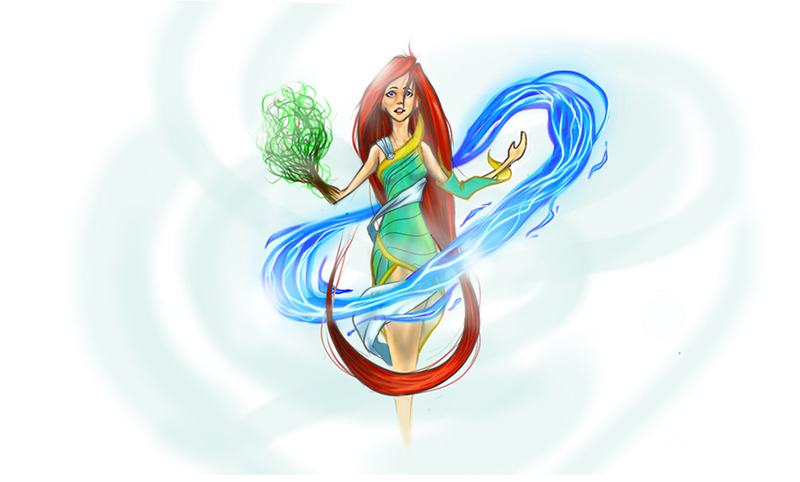 Concept of art of our main character. The basic engine and mechanics were set in programming as well. 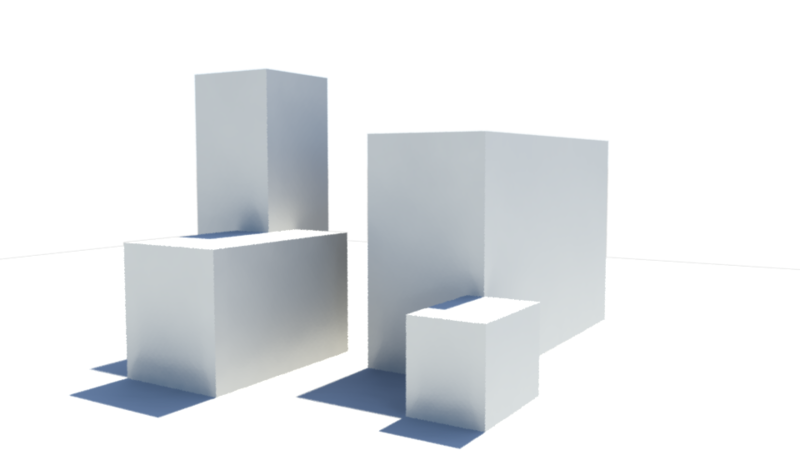 However with dummy models and objects just for testing and later will be replaced with our low poly designed environment and characters. Of course the bigger capsule is our Beautiful Monster. Now it is time to talk about her, our monster. The monster that creates beauty through chaos. Mother Nature’s deterrent. It is time you’v met Color. Color is not just a character. Color is a representation of how beauty and nature can be considered as an evil to society’s conformity. This game is a celebration to this character. Which brings us to our game’s name. We decided to call our game Natural Distortion. A fitting name for our theme. A monster of nature distorting our orderly world.